Fixed or mobile? While the fixed and plumbed island is a standard component of many kitchens, you may want to consider a smaller fixed island paired with a small to medium sized unit on wheels. This may allow for more flexibility, especially if your kitchen traffic fluctuates with big family gatherings on weekends and dinners for two during the week. How big? The size of the island is ultimately limited by the dimensions of your kitchen. Some factors that will also play are the types of appliances and features you wish to include in the island. 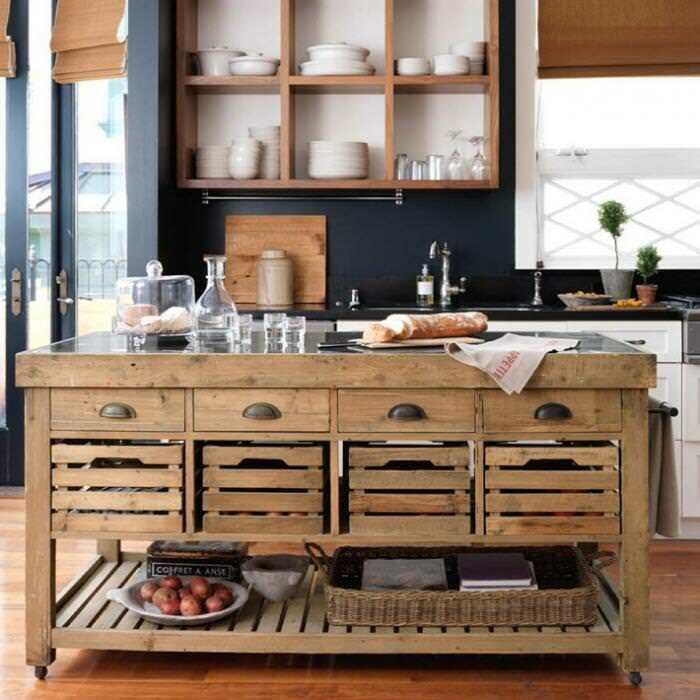 You may only need a set of extra storage shelves and drawers, or your island might incorporate a prep sink, warming drawer, wine cooler or cook top. The key factor is to allow plenty of circulation area around the island and easy access and flow between work stations, cooking and food storage. Make sure that your island doesn’t conflict with the oven or refrigerator doors when open. If appliances are installed in the island their placement should be considered relative to facing appliances. How high? If the island is a primary prep station, you’ll want to ensure that the level is high enough for comfort when preparing food. If you plan to include a small seating area on one side, a higher island can provide space for café stools. Or opt for a two-level approach for seating and counter space. Furniture or cabinetry? A sideboard style island with drawers, shelving and prep-friendly surface may add more style and keep the kitchen area looking clean and open. A cabinetry style island, affixed to the floor will make a statement and allow for more customization. Prep or utility? The way the cook uses the kitchen should also influence the utility of the island. 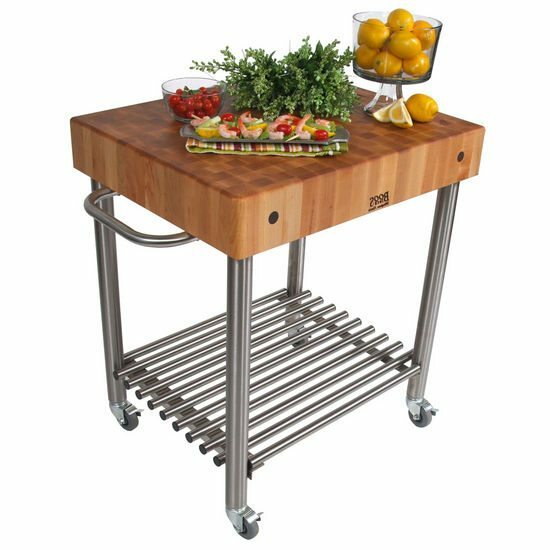 A cross-cut butcher block cart like the Boos Classic Kitchen Cart (below left), may be just enough extra counter space for the gourmet cook. If your style is a collaborative approach a larger prep surface can provide space for kitchen helpers and guests to enjoy the cooking event. Granite or not? 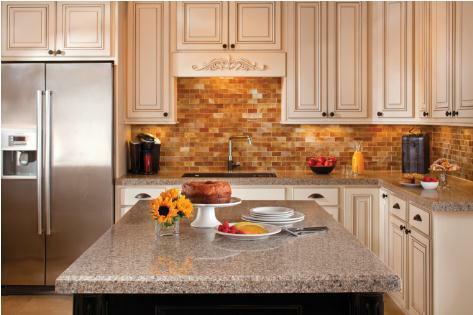 Though granite and other stone options have been go-to surfaces for kitchens, explore other options in recycled glass terrazzo, concrete and composite materials. Other homeowners opt for a mixed media approach, with built-in butcher block areas, tile, and marble prep areas for bakers. No matter how you design it, your kitchen island will provide a central highlight to your kitchen. If you plan on a cabinetry fixed island, be sure to include your dealer and builder in the discussions to provide enough space and required utilities to the island area within the drawings.